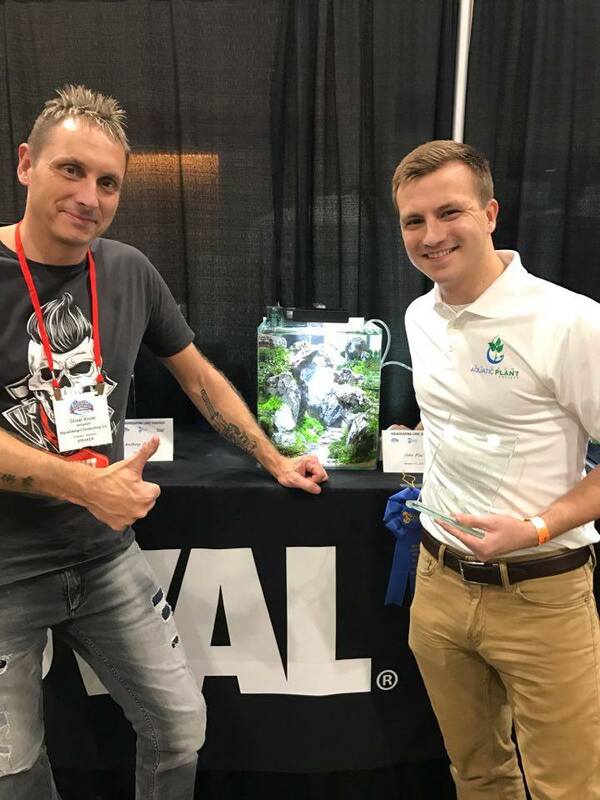 John Pini, an Illinois native just 25 years old, arguably dominated the nano tank competition at the 2016 Aquascaping Live! competition (learn more about the 2016 competition, and see all the entries, in our Aquascaping Live! 2016 Small Tank Photospread). 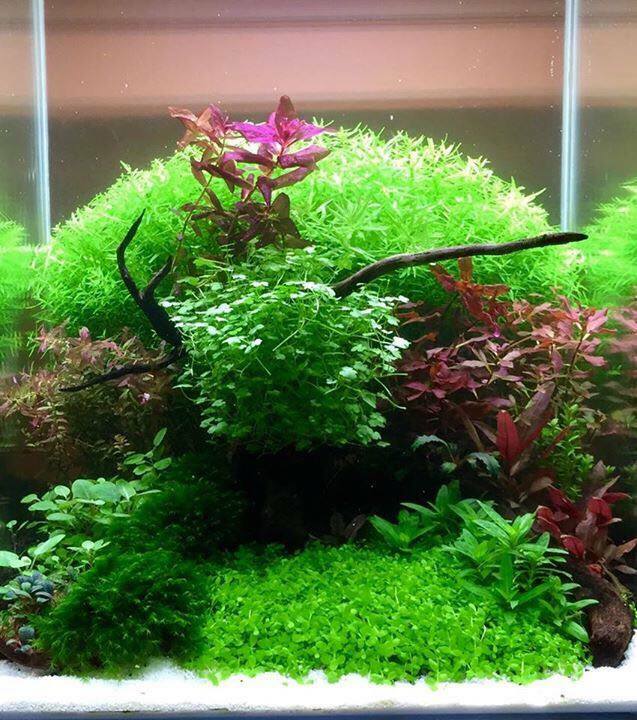 Pini has only been aquascaping for 2 years, and yet he managed to conceive a design that stopped people in their tracks. 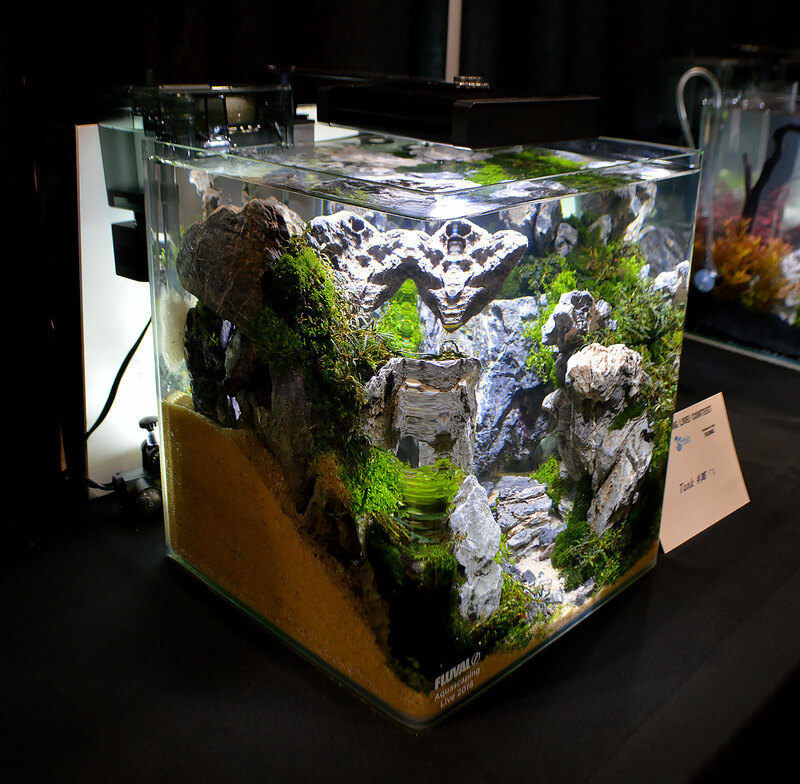 The first-place, “Best In Show” nano tank entry was a source of conversation all weekend. 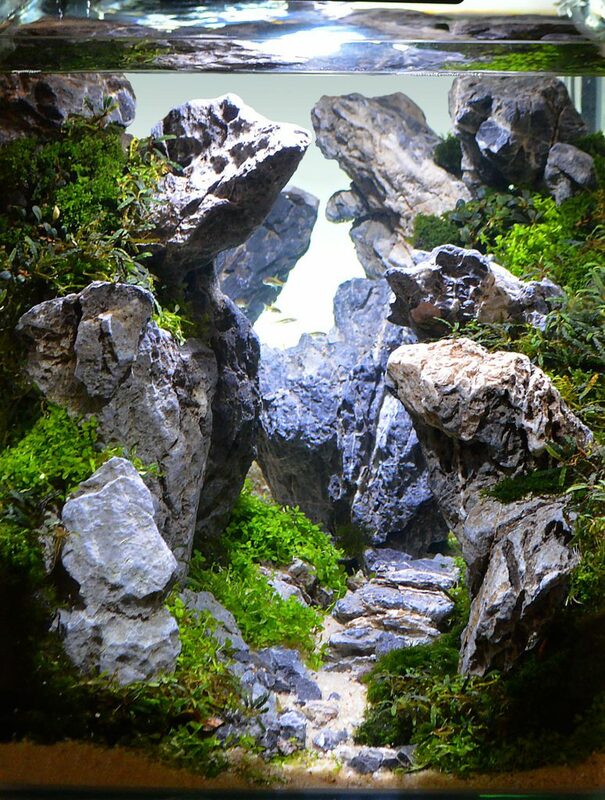 Even if it wasn’t their absolute favorite aquascape, spectators and commentators were quick to acknowledge the exceptional nature of the design. There are times you meet someone whom you believe is an up-and-comer, and after meeting Pini, I believe he qualifies for that title. After just 2 years in the aquascaping hobby, and only a year on the competitive circuit, Pini has surrounded himself with exceptional mentors, including Bailin Shaw of the Aquatic Gardeners Association (AGA). Pini is also one of the founding members of the newly-formed Chicago Aquatic Plant Society. 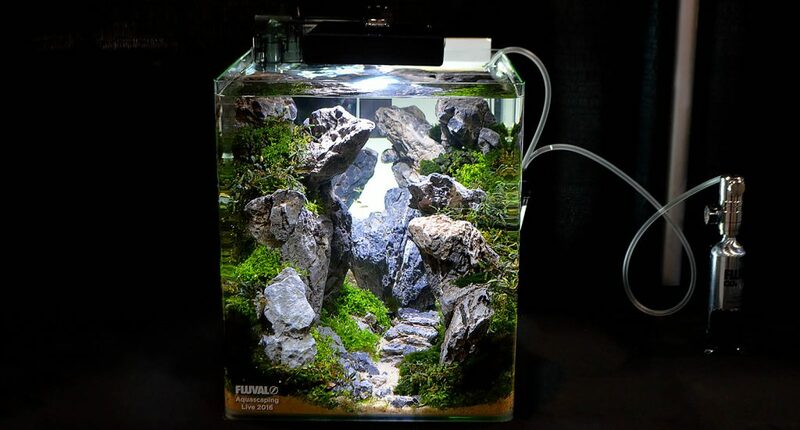 We hope to feature more of Pini’s work and his inspired aquascaping philosophy in a future issue of AMAZONAS Magazine. 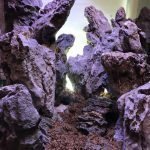 But for now, let’s turn our attention to how Pini took the 2016 Aquascaping Live! 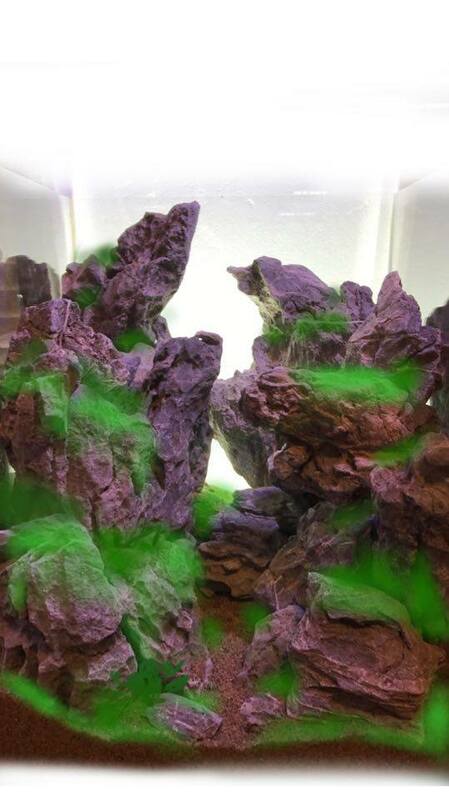 nano tank category by storm. 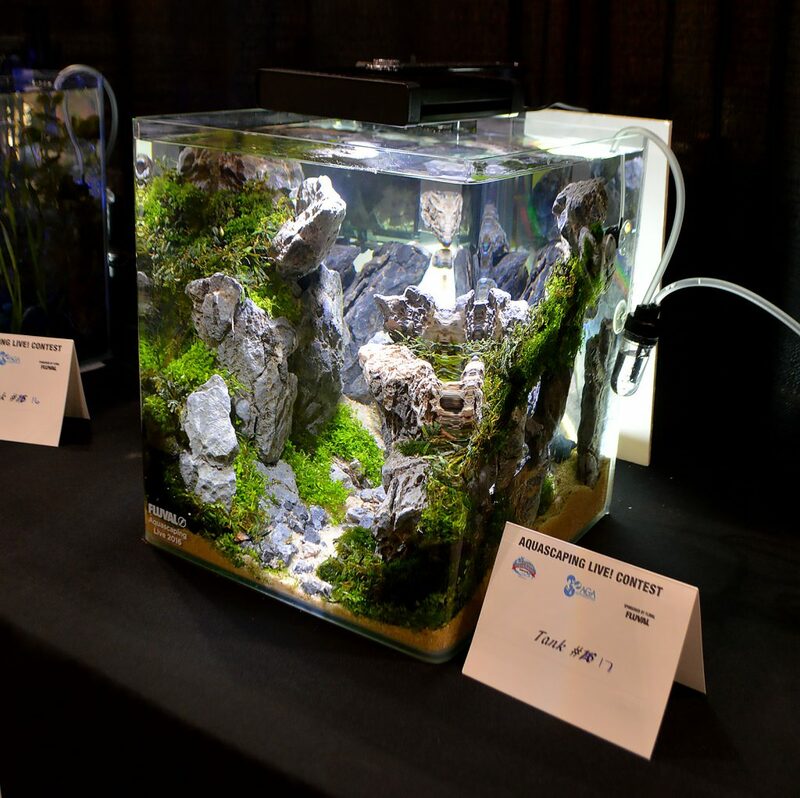 Pini entered the 2015 Aquascaping Live! contest, but failed to place out of 14 entries. This year, with 22 participants, the odds of being awarded were even tougher. 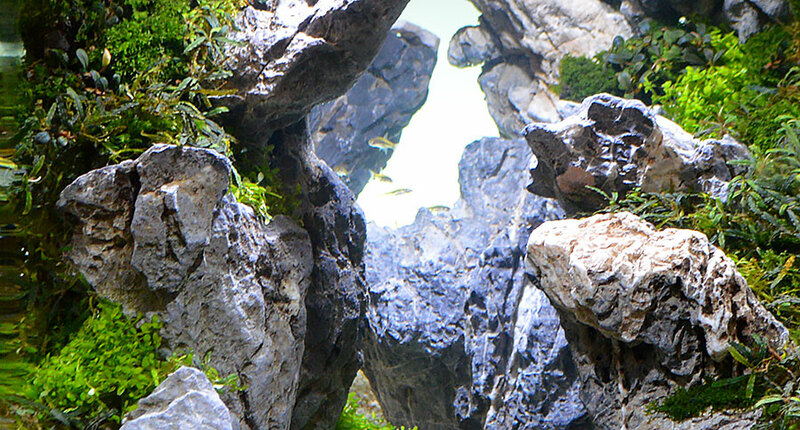 Pini had been working on a lushly planted aquarium when he learned that this year’s competition would require aquascapers to create their aquascapes on the show floor (whereas in past years, one could largely construct things prior, and then simply “drop in” the aquascape). The reasoning was simple: competition organizers wanted spectators to be able to watch this creative, constructive process as it happened. This change in the competition rules caused Pini to scrap his planned design and completely start over. Objectively, this change in rules may have also been the catalyst that rocketed Pini to the top of this year’s competition. For a substrate choice, Pini opted for simple cosmetic sand, in this case pool filter sand. Pini selected a fine-grained sand to emphasize scale. 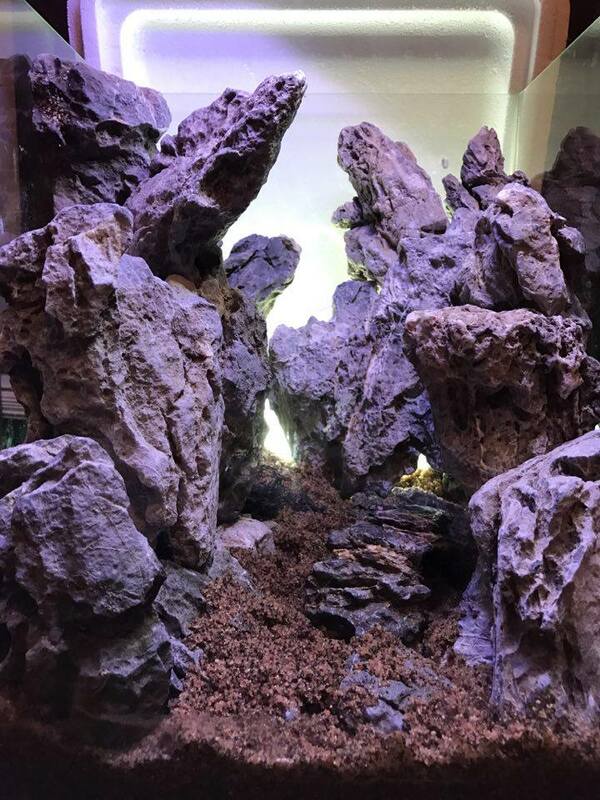 Had this been a normal tank not set up for competition, Pini suggested he would have also incorporated a substrate with nutrients to make maintenance easier. Pini’s plant choices and design were also made to emphasize the impression of a larger-than-life scale, and to make a natural impression. 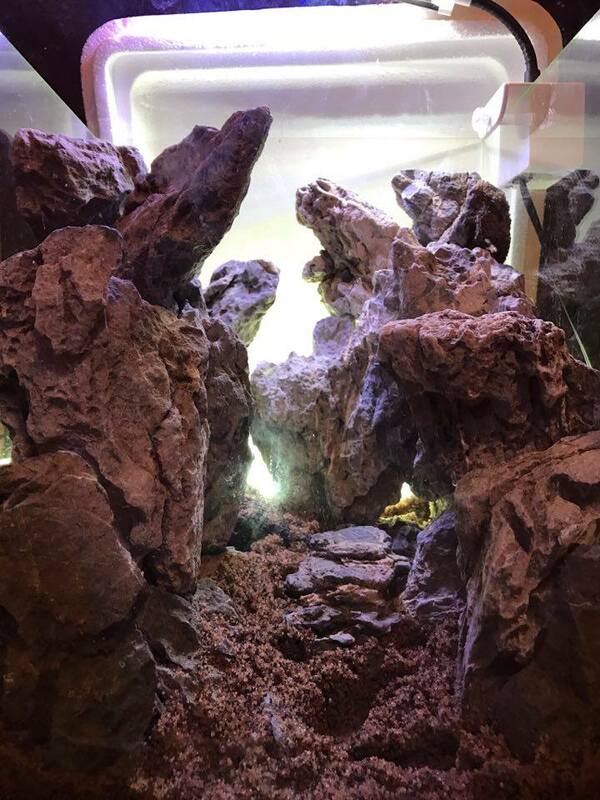 Pini shared an image that he created during his hardscaping to help envision how the planted tank would look. Riccardia chamedryfolia, Coral Moss, a darker green liverwort moss which Pini notes is slow growing and beautiful. This fine-leafed plant helps to emphasize the illusion of scale. Bucephalandra sp. Pini selected a mini variant, possibly the variety known as “Mini Velvet.” It’s a small, dark-leafed plant that grows on a rhizome. The results largely speak for themselves! 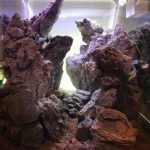 “When I started a year ago, I didn’t really know anyone else in the world, I didn’t know anyone in the aquarium hobby. I started going to Fish Planet in Deerfield, IL, to get some rare fish and plants. Steven Freed, the shop’s owner, told me, ‘I’m bringing in this guy from the AGA to do an aquascape seminar.’ That turned out to be Bailin Shaw. “Bailin came in and did a presentation. I think I was so enthusiastic that he knew I was serious about getting into competitive aquascaping, so we stayed in contact. Last year, we decided to start up the Chicago Aquatic Plant Society. He has given me a lot of guidance about how to grow plants, how to look for different things in aquascapes, and the key components that make something compelling, like how do you portray conflict, but also harmony. It looks like it’s all supposed to be there. “With the online community, too, I’ve made a point to seek out people who are better than me, and sending them my stuff and asking, ‘What do you think of this?’ For the most part, they’re excited about new people getting in; they usually respond with advice and encouragement. 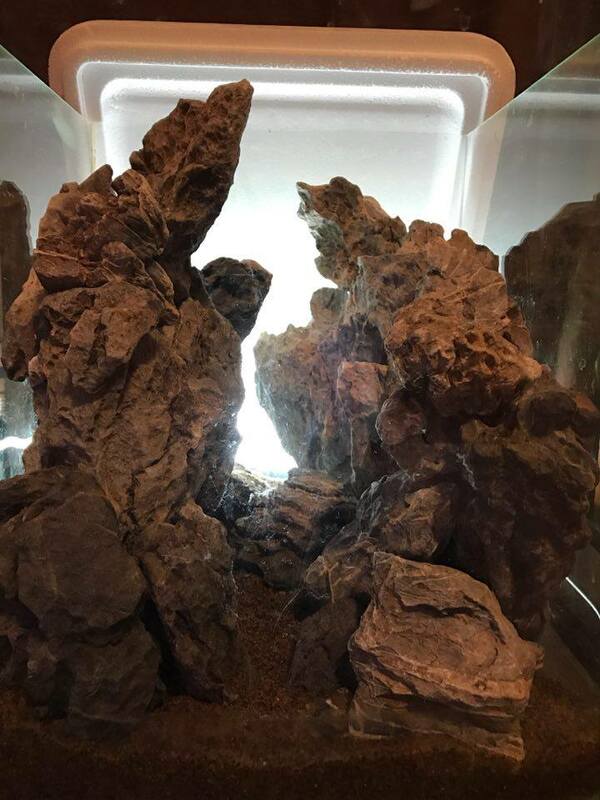 Of course, this photo shared with us by Pini perhaps represents some of the highest praise a rookie could receive in an aquascaping competition. 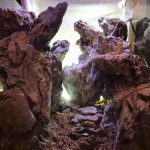 Where Is This Amazing Aquascape Now? Considering Pini’s view of aquascaping as artistic expression, it stood to reason that most painters sell their completed artwork, if for no other reason than to continue to fund future artwork. 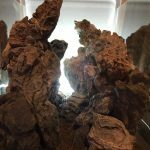 What if someone had wanted to purchase Pini’s aquascape? 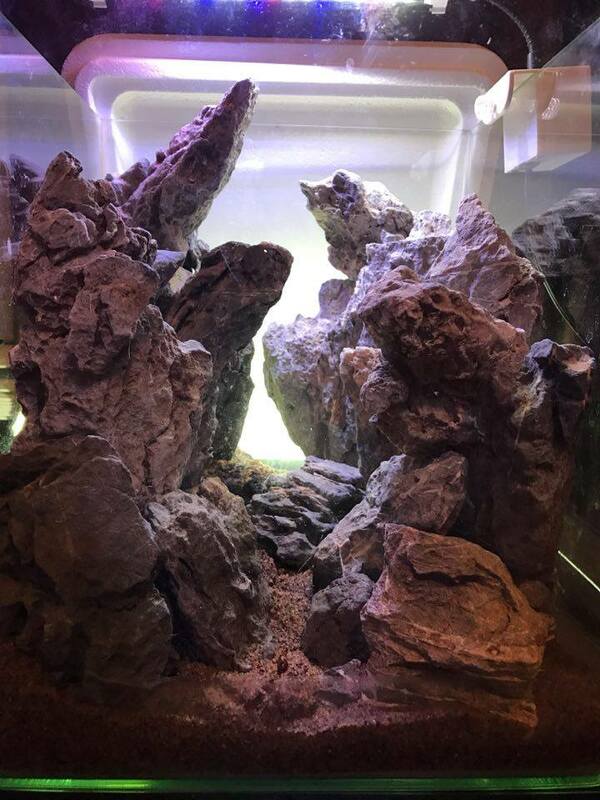 We asked Pini if he kept this winning aquascape running, if we’d see more of it. And now we all wait to see what “something better” could be when combined with the rookie talent of John Pini.